Whistle Blowing policy In Nigeria : What are the facts? The Whistle-blower Policy is a policy created by the Federal Ministry of Finance for informants who are ready to share information not already known to the government about money laundering. It is not a Law of the National Assembly, it was approved by the Federal Executive Council in December 2016. The Whistle Blower Protection Bill is still pending at the National Assembly. This policy by the federal government is aimed at reducing fraud rate in government and as well encourage exposure of fraudulent activities in government. Kemi Adeosun, the minister of Finance clearly stated that the aim of the policy is simply about supporting the government in its fight against corruption and financial crimes in the country. The policy has been welcomed by majority of Nigerians and has recorded positive results so far. While discouraging financial indiscipline, the policy also protect the interest of the informant against threat or harrassment through different measures. Who is a Whistle Blower? 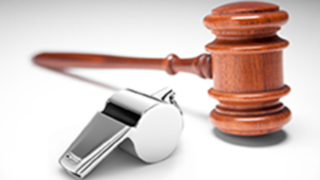 The Whistle blower Policy defines a ‘whistle blower’ as a person who voluntarily discloses to the Federal Government of Nigeria, through the Federal Ministry of Finance, a possible misconduct or violation that has occurred, is ongoing, or is about to occur with specific concerns which are in the public interest. Whistle blowers are not accomplices during the act of fraud. Whistle blowers are not immune to be persecuted on the crime he/she help expose. Their basic reporting channel is through email and by phone. It is neccessary you are neutral and anonymous when reporting. The whistle blowing policy come with monetary tag. The policy provides that if the government is able to recover stolen or concealed assets through information provided by a whistle-blower, then he/ she may be entitled to between 2.5%-5.0% of amount recovered. How the money is sent to the anonymous whistle blower isn't disclosed. This have led to some Nigerians believing the policy isn't credible and they see it as fake. This claim may seems so as it is not really made into law yet. The policy assures informants that their interest would be protected. A provision is made the policy for whistle blowers who feels cheated or treated wrongly, after providing such reports. There is also a provision, which allows for whistle blowers who suffered harassment, intimidation and victimization, because of the information he had shared to be restituted by the authority. The policy place in esteem not only the information gotten but the informants. However, the policy does not provide immunity from criminal prosecution in the course of whistleblowing. This means is that if during the investigation some of the evidence shows that a whistle-blower did partake in the act of corruption, then the whistle-blower would not be immune from criminal prosecution.